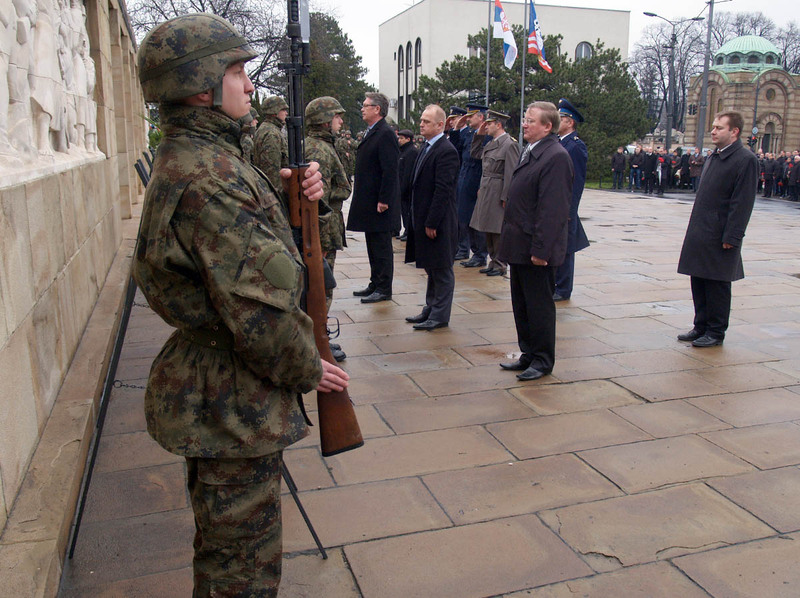 On the occasion of marking the Defender of the Fatherland Day – the national holiday of the Russian Federation, delegation of the Ministry of Defence and the Serbian Armed Forces led by Major General Branko Andric, Head of the Department for Organization, laid a wreath at the Monument to the Liberators of Belgrade and the monument to the Soviet soldier at the New Cemetery in Belgrade, and at the Monument to the Russian Air veterans on Mt. Avala. By laying wreaths, the tribute was also paid by the Russian Ambassador to Serbia Alexander Cepurin, Ambassador of Belarus to Serbia Vladimir Cusev, Charge d' Affaires of the Embassy of Ukraine Alexander Kirichenko, advisor to the Ambassador of Azerbaijan and the Secretary of the Interim Council of the City of Belgrade Goran Vesic. 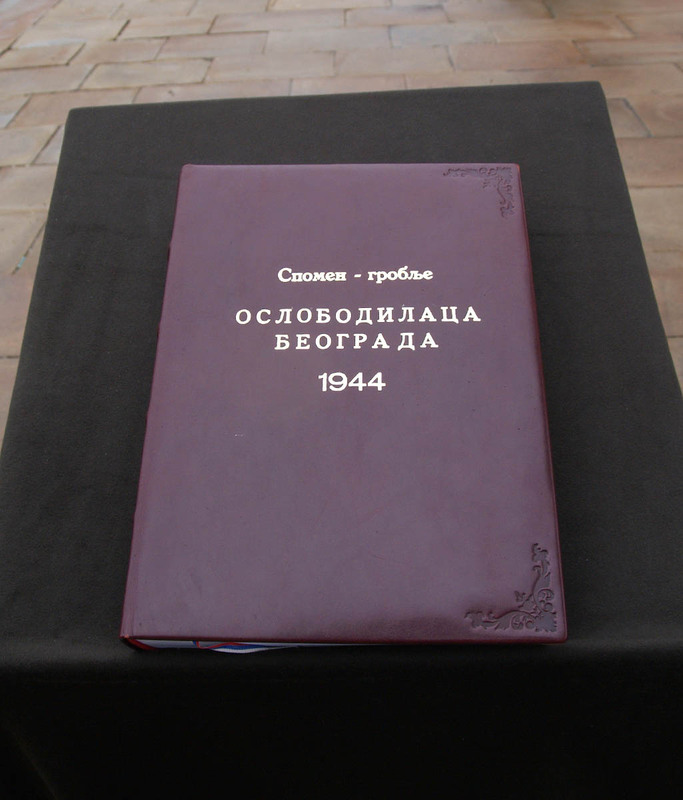 Addressing the reporters, Vesic pointed out that on this day Belgrade proudly remembers the brave Red Army, whose 960 officers and soldiers lost their lives in October 1944 liberating Belgrade. “This is an opportunity also to remind ourselves of the role the Red Army played during the Second World War, when more than 8.5 million of its members were killed in the fight against the greatest evil in human history – Nazism and what is its contribution to the world as it is today, where differences are recognized, in which people can live freely and are not killed just because they belong to a different race, religion or nationality. Therefore, Belgrade today, with due reverence, pays tribute to all veterans, both those of the Red Army and our soldiers, who died for the freedom of our city and the glory of our homeland. Thank them", Vesic said. Wreaths were laid with the state and military honours and playing anthems of the Russian Federation, Ukraine, Belarus, Azerbaijan and Serbia. The Russian Federation is celebrating the Defender of the Fatherland Day paying tribute and gratitude to soldiers, veterans, armed forces and navy, international soldiers and families of those who have been or are in the war.